Multiple districts in the western region of Maharashtra have been badly hit by one of worst droughts in the last 14 years. 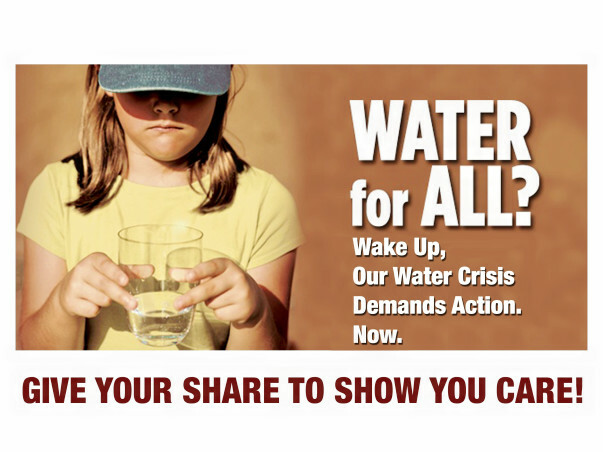 Right now, people in the western region do not have access to any natural sources of water. They are unable to have enough water to drink, cook and clean. They are completely dependent on an external source of water such as water tankers. 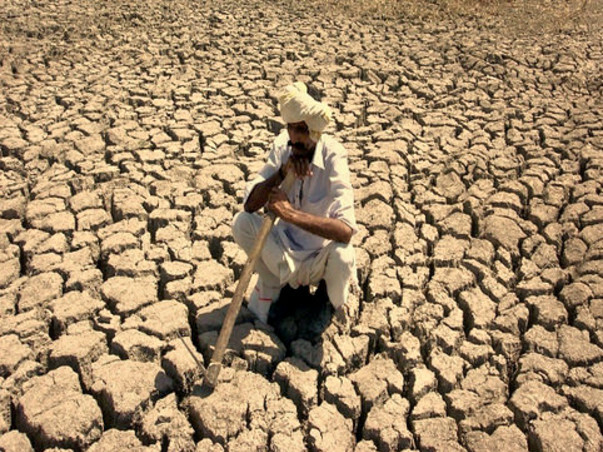 It is our social responsibility to contribute our share, to care for our own people who are victims of drought. A group of volunteers from "Solitaire CHS" (Dhanori), Pune have come up with an initiative to raise funds from all possible sources. 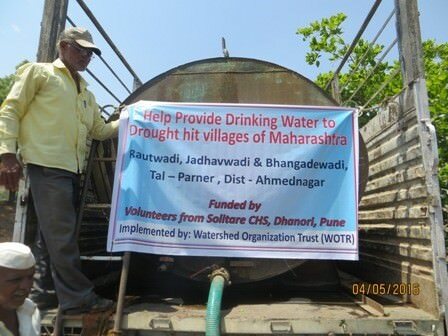 They are associated with an Ahmednagar based NGO, WOTR (www.wotr.org), who is helping them in sending water tanks to drought affected villages of Ahmednagar district in Maharashtra. WOTR is a not-for-profit NGO that has been working on Watershed Development and Climate Change Adaptation since the past 23 years. 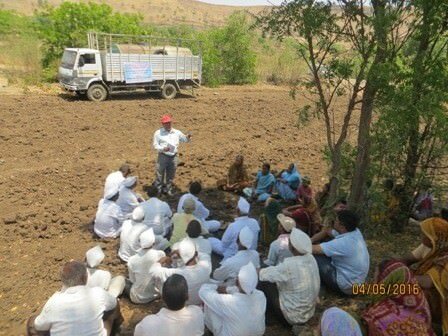 They have currently adopted three small tribal villages - Bhanganwadi, Rautwadi and Jadhavwadi of Parner taluka in the Ahmednagar district. (https://www.google.co.in/maps/@19.0451773,74.3562391,2092m/data=!3m1!1e3). 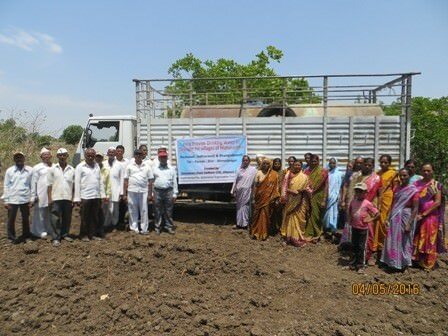 With the funds raised they can send water tankers to these villages for an entire month and help about 250 families survive this difficult phase, till the monsoons. Each tanker has a capacity of holding about 10,000 litres of water. The charge per tanker is around INR 2000-2500. 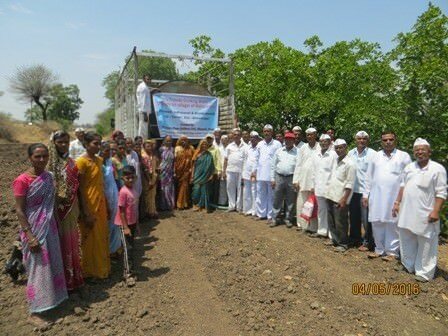 With more funds, they will have the ability to support more villages in the Ahmednagar district. Please come forward and contribute to ensure that water reaches our people who are facing a very difficult situation. WOTR is a registered NGO and raised funds will be handover to WOTR via DD/NEFT/Cheque to pay the water tanker vendors under volunteers close observation. You can reach out to Mr. Kushan Shrroff on +91-7720076924, if you have any query(ies) on this Initiative and/or NGO. I am Ibrahim, a Milaap Open Fellow. I recently got the opportunity to visit the three village hamlets, Jadhavwadi, Rautwadi, and Bhanganwadi, courtesy of Mr. Kushan Shroff and Mr. Thomas from WOTR( Watershed Organisation Trust). First, I visited the hamlet Jadhavwadi. 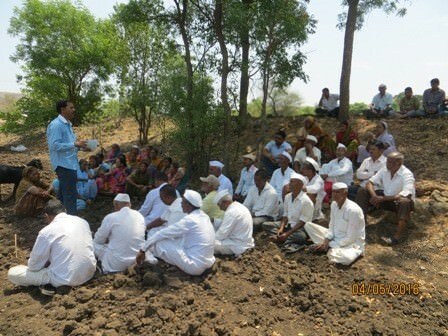 Jadhavwadi and Rautwadi are two hamlets of the same village and fall under the same Gram Panchayat. I met with the sarpanch, Mr. Jadhav and other senior villagers. They have expressed their sincere gratitude to the donors as they had been receiving regular tankers and their drinking water needs were finally being met on time. Previously, they had been totally dependent on the govt. supplied tankers. “Since we are a small voter base, govt. cares less about us. Hence, the tanker supply was very erratic, sometimes coming in only once a week,” said Mr. Jadhav. 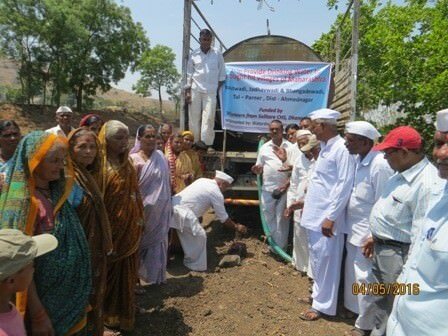 All in all the residents of Jadhavwadi needs 20,000 liters water per day for all needs including drinking water for their livestock too. The tankers that were supplied were of 10,000-litre quantity and came on a fixed schedule. The livestock were given water from the personal wells of the villagers, which was not suited for human consumption. 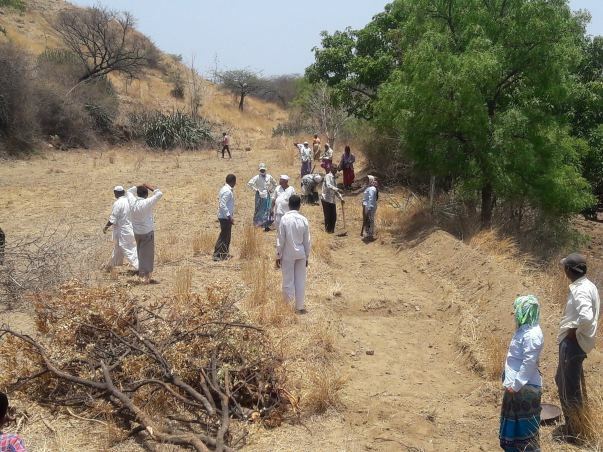 Besides this temporary solution, the NGO WOTR and the villagers themselves are taking many steps to ensure that they are better prepared for such a drought the next time. 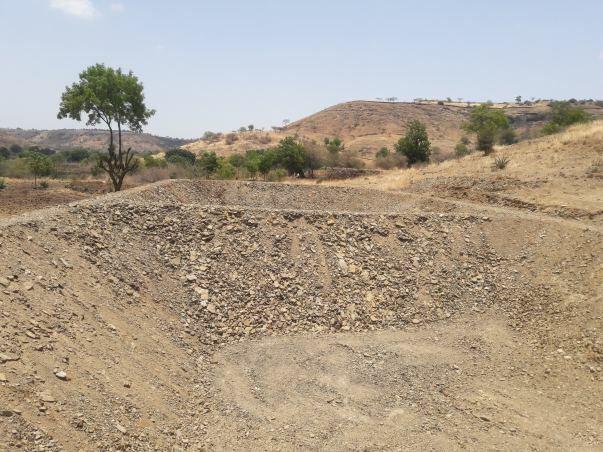 Since these hamlets are situated in hilly areas, all the rainwater gets drained away without having sufficient time to percolate into the soil, thereby not replenishing underground water. 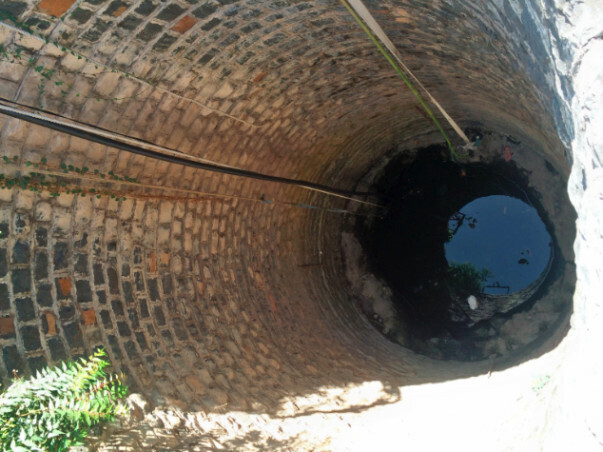 Certain steps are being taken to recharge the groundwater storages. This is an earthen dam or a Bhoomigadh Bandhara. The water that is coming in from the hills will flow through this path, above the ground and underground. This dam is a structure wherein desilting work has been done, so when the water reaches here, it will get collected and stalled for a while, giving it enough time to percolate underground. This above is a man-made pond. Before rainfall, this will be covered with a plastic sheet. Hence, it will collect the rainwater, which can be used at a later point in time, during December when there is no rainfall. They have outlets which connect to the adjoining farms. 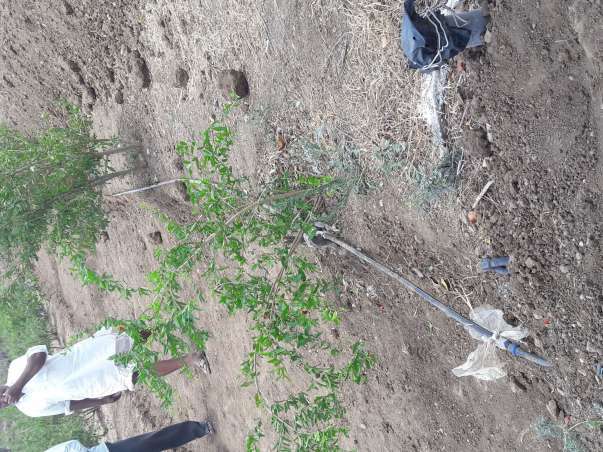 The farmers here have started adopting the drip-irrigation system. Drip irrigation is a form of irrigation that saves water and fertilizer by allowing water to drip slowly to the roots of many different plants, either onto the soil surface or directly onto the root zone, through a network of valves, pipes, tubing, and emitters. This saves a lot of water. The pipes and tubes have been provided by WOTR. The fields of the farmers here are on different vertical levels. During rainfall, not only does the water flow away, down these fields, it also takes away the precious and nutritious soil. 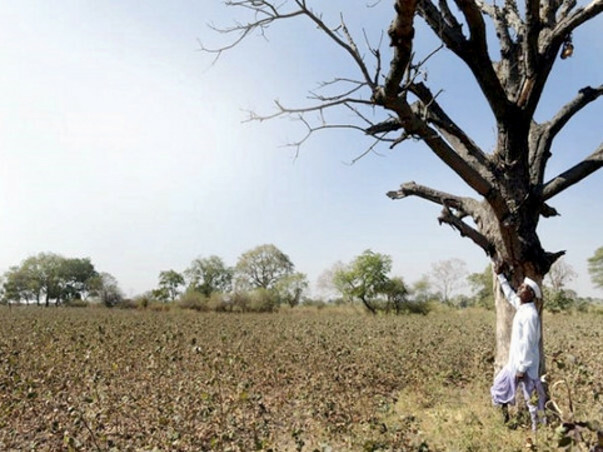 To combat this, farmers have built small dams or bandhs. These are supposed to halt the flow of water downstream, allowing it to percolate underground and also prevent soil erosion. This would recharge the underground water level and provide water to the crops throughout the year. 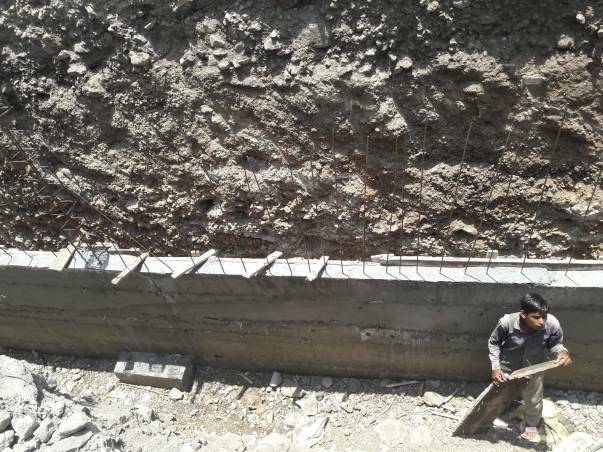 Such kind of constructions are not only sustainable solutions to the drought problems, but they also provide employment opportunities to the local villagers in tough times. “We’ve hired labourers from our village itself so that they can earn some alternate income,” says the Sarpanch. Same is the case with the other two hamlets, where similar kinds of setups and constructions are taking place. This goes to show that the people of such drought hit areas have not given up and are ready to fight for their future. In fact, they are doing all they can in their power. The support of donors like you goes a long way in ensuring that their struggle yields a fruitful result. 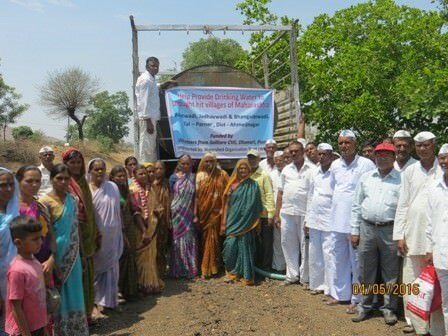 The 10,000 liters of drinking water has been supplied to Rauthwadi village on 4th May 2016 as per planned schedule. 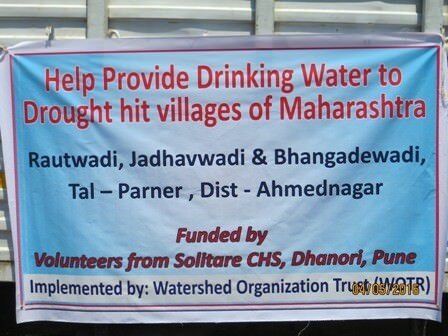 Today, 10,000 liters drinking water will be supplied to the Jadhavwadi village. In each village we have formed a Drinking Water Supply Committee consisting of 5 members in each committee, out of which there are 3 women members and 2 male members. The names of the committee members are as under. The Water Supply Committees have been selected in the joint general meeting of both villages. During this meeting the roles and responsibilities of these committees were explained to the people. The Tanker schedule has been explained to the people. The Tanker owner was also present in the meeting. Before pouring the water into the drinking water well, the committee members will check whether the water tanker is full. After emptying the tanker, the committee member will give the receipt to the tanker owner. On submission of the receipt along with bill, the payment will be made to the tanker owner’s bank account through RTGS. Water distribution strategy: In both villages there is a drinking water source well for supplying drinking water through piped scheme. 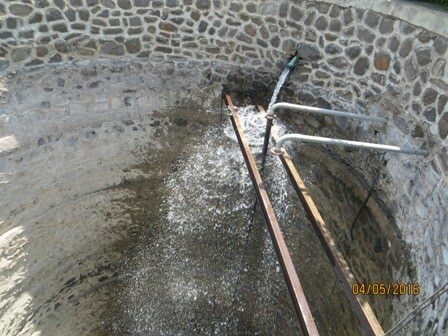 The water tanker will be poured in the drinking water well. From this drinking water well, the drinking water will be lifted and stored in the existing water storage tanks of 10,000 liters capacity in each village. The water will be released to each ward as per rotation through the existing distribution pipe line. In Rauthwadi the rotation will be of 3 days, whereas in Jadhavwadi the rotation will be of 7 days. In each village, there is a separate water distributor appointed by the Grampanchayat. He will be also responsible to add TCL powder every day in the water storage tank to purify the drinking water. Beneficiaries: In Rauthwadi, 70 families and 375 individuals and in Jadhavwadi, 150 families and 800 individuals will have access to the drinking water which is supplied through tankers. 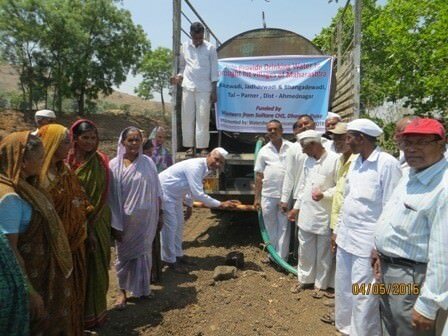 The villagers were very happy to receive the first drinking water tanker which is provided. They convey their thanks and gratitude to all contributors. 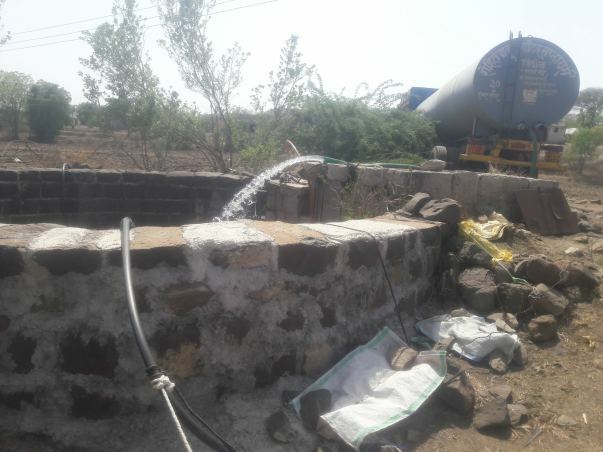 We are pleased to inform you that water supply in three tribal Hamlets (Bhanganwadi, Rautwadi and Jadhavwadi) of Parner taluka in Ahmednagar district has been started from today. This activity will end on 31st of May as a part of Phase 1. WOTR allocated a project lead (PL) and field office (FO) for successful execution of our initiative. 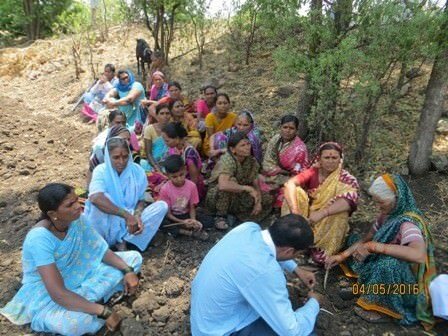 Today, project lead visited Rautwadi and Jadhavwadi and formed a committee consist of 5 people (3 women and 2 men) in each hamlet. They will be monitoring this initiative and WOTR project lead will coordinate to the committee and give regular status report to us. Water tanker will reach by 11 am. In case of power load shed, it may be 10 am. WOTR have printed a flex banner with our society name printed for this initiative. Photos for from today's inauguration will be sent to us soon and same will be shared with you as well. Same procedure will be followed for Bhanganwadi hamlet by today evening or latest by tomorrow afternoon. Our initiative has name now and the slogan for this initiative is "Share to Care". Continue reaching missed society member and new nearby societies Dhanori area for their "Share to Care" and nearby shops to continue raising fund. Initiate a plan to keep helping our people in Maharashtra with a priority of water supply and then an awareness program to people to save/preserve and re-usability of water to avoid any crises in near future. Reach out to people with nutritious food and clothes in tribal hamlets under "Share to Care" campaign. Once again, we would like to thank you all for your continual support because it was never been achieved without your motivation and your "Share to Care". Continue the good work ! !